Toccoa Falls College is excited to announce the TFC Singing Men will perform the national anthem at the Atlanta Braves game at on April 30, 2019. The Toccoa Falls College Singing Men was founded in 2001 and is comprised of college students, staff, faculty, alumni and community members. The choir performs in various venues and churches during the school year, presenting a varied repertoire of sacred music pieces arranged for TTBB ensembles. 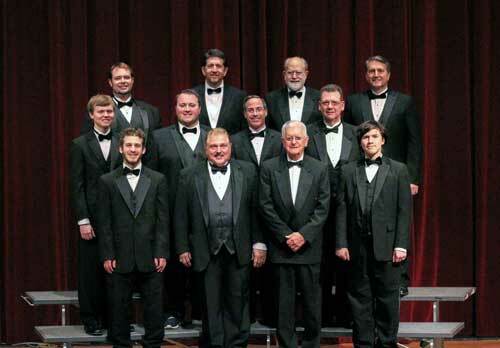 Throughout the years, the TFC Singing men have performed their arrangement of The Star-Spangled Banner for numerous sporting events including games for the Atlanta Braves, Atlanta Hawks, and Clemson University. Their next anthem performance will take place at the Atlanta Braves game vs. the San Diego Padres on Tuesday, April 30 at 7:20 p.m. Fans desiring to hear the national anthem in person should plan to arrive inside Suntrust Park no later than 7:00 p.m. The TFC Music Department is selling tickets to the game for $8.00 each. Contact the music office at music@tfc.edu for more information or to purchase tickets. Tickets are available to the TFC community as well as the general public while supplies last.